Although critics praised Brian’s Song for its frank description of cancer when the disease was rarely discussed publicly, the reality of Brian Piccolo’s illness and death was quite different than what was portrayed on the screen. It turns out the actual story of what happened to Piccolo is even more instructive, and especially relevant for modern cancer patients and health professionals struggling to balance hope and reality. Brian Piccolo was a 26 year-old running back for the Chicago Bears in the fall of 1969 when he developed a cough and difficulty breathing. The diagnosis was grim: a grapefruit-sized, highly malignant cancer known as a teratoma in Piccolo’s chest. Because his cancer was so rare, Piccolo sought treatment at New York’s Memorial Sloan-Kettering Cancer Center. Over the next half-year, until his death in June 1970, he underwent three major operations, chemotherapy and radiotherapy. The inspiration for Brian’s Song came from a book, I Am Third, written by Piccolo’s Chicago Bears teammate Gale Sayers. The two men, both running backs, had been the first interracial roommates in the National Football League. Piccolo was white and Sayers an African American. Why was the movie so well received? The acting, featuring James Caan as the upbeat Piccolo and Billy Dee Williams playing the introverted Sayers, was terrific. Many Chicago Bears, including coach George Halas, played themselves. The music, especially the theme song, composed by Michel Legrand, was beautiful and elegiac. But mostly, Brian’s Song was the frank story of an athlete dying from cancer being told to a society insufficiently familiar with the disease. At the same time, however, the film presented a sanitized version of Piccolo’s ordeal. Caan still had a full head of hair as he lay dying. His Piccolo is remarkably free of anger. The reality was much more disturbing. Jeanne Morris, a writer and the wife of one of Piccolo’s teammates, was also chronicling Piccolo’s diagnosis and treatment, later published as a book, A Short Season. Morris provided many details not in the film. Piccolo’s surgeries, attempting to remove more and more cancer cells, were aggressive and painful. 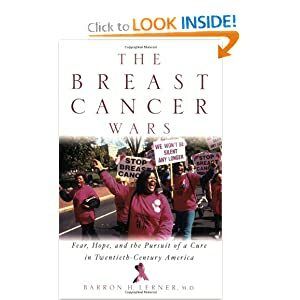 The second was an “extremely mutilating” radical mastectomy, the operation women had for breast cancer. The third removed one of Piccolo’s lungs, although by that point, the odds on him surviving were essentially zero. Most importantly, Morris reported that Piccolo and his wife Joy had grown increasingly skeptical of their doctors’ optimism but felt powerless to question them. Piccolo’s surgeon was Edward Beattie, a former college football player and a Bears fan. “Surgeons are aggressive, hard-charging guys,” Beattie told Morris. “You would listen to Dr. Beattie and you would go ahead and do,” Joy Piccolo later recalled. Beattie told Piccolo that the first operation had been a success and, soon thereafter, Piccolo was telling friends that he was “cured” of cancer. He died six months later. In reality, less than five percent of patients with Piccolo’s cancer lived five years. Physicians today do a much better job of explaining prognosis and treatment options. But, believing that cancer patients both want and deserve hope, they still may avoid giving bad news. Thus, patients need to keep asking questions of their doctors, something that Brian and Joy Piccolo found so difficult to do. And physicians need to give honest answers.